This four days gorilla tour will start in Rwanda, where you will transfer to Virunga National park in Democratic republic of Congo via Uganda’s boarder. 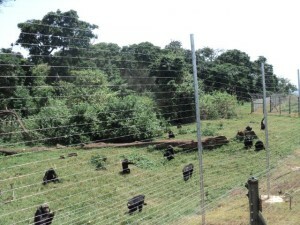 The park has six groups of habituated gorillas; Kwitonda group, Mapua group, Bikenge-Rugendo group, Bukima- Kabirizi group, Munyaga group, Humba group. Each group allows a maximum of eight people per day. Below is the detailed itinerary. You will be picked by the driver/guide and transfer to Kisoro on Uganda boarder, a journey that will take you through a scenic view of beautiful Rwanda’s rolling hills passing via Ruhengeri in northern part of Rwanda and continuing to Kyanika boarder. Finalize boarder arrangements and cross into Uganda. You may have guided nature walk, visit the natural, beautiful-looking Lake Mutanda, surrounded by the volcanoes, take a walk on the shores. Dinner and overnight stay at Travellers Rest Hotel. DAY 2: Gorilla tracking in Virunga. Transfer to the Bunagana boarder with Congo, then from there drive to the Park Headquarters to be briefed about gorilla tracking dos and don’ts before setting off into the forest to track gorillas in Parc National des Virunga of Congo for the incredible experience. In the course of searching for the Mountain Gorillas, you will be exposed to excellent birding and primates such as the Golden Monkeys, Blue Monkeys, Black and White colobus monkey, and giant forest hogs among others. You will stay with these beautiful primates for one hour for observation and photography. Gorilla tracking through the forest, hills and swamps can be tough, arduous and tiring, sometimes taking up to 8 hours in the forest. 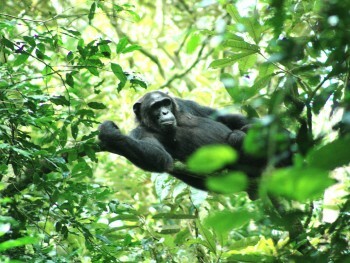 But coming face to face with the great primates is well worth the effort. Return to Kisoro in Uganda. Dinner and overnight at Travellers Rest Hotel. Day 3. Second Gorilla tracking Adventure. Just like on the day 2, you will cross back to DR Congo, and go through the same process of briefing at the Virunga national park headquarters, but this time you will follow a different trail to track a different group of the habituated gorillas. 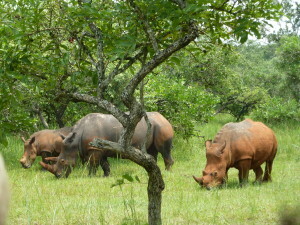 After the experience which may take 2-6 hours depending on how quick you sight the animals as it is determined by their movement in their natural environment. Return to Kisoro on Uganda boarder for dinner and overnight in your hotel. After your relaxed breakfast, set off for Kigali in Rwanda. On your way to Kigali, several stops will be made to admire the amazing scenery of Rwanda’s topography.